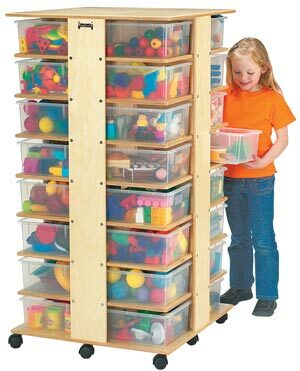 A 4 sectioned tower with 8 tub cubbies in each. Room for 32 tubs measuring 11"W x 13-1/2"D x 5-1/4"H. Caster mounted. Overall dimensions 27"W x 27"D x 53-1/2"H.